YA Bound Book Tours: Social Media Blitz: Nickel by Robert Wilder! YA Bound Book Tours is organizing a Social Media Book Blitz for: Nickel by Robert Wilder. This blitz will take place from September 13th to 19th. No need to post anything on your blog! You only have to post buy links to your Twitter, Facebook, Tumblr, Instagram, and/or Goodreads a few times a day (no more than 3) to spread the word about new release, Nickel! I have a few options for you. A STORY ABOUT LOVE, LOSS, AND LOYALTY. Being a teenager is hard enough without your mother in rehab and your slightly inept stepfather doing his best not to screw things up. But at least, Coy has Monroe. Coy is a quirky teenage boy and his best friend Monroe is a girl who is just as odd and funny and obsessed with 80’s culture as he is. So when Monroe comes down with a mysterious illness, his inner turmoil only grows. As Monroe gets sicker and Coy gets a girlfriend from another social crowd, the balance tips and Coy has to figure out how not to give up on his friend, his family, or himself. Nickel is a hilarious, heartbreaking and honest portrayal of the complicated world of being a teenager today. Robert Wilder is the author of two critically acclaimed essay collections, Tales From The Teachers’ Lounge andDaddy Needs A Drink, both published by Delacorte Press. A teacher for twenty-five years, Wilder has earned numerous awards and fellowships, including the inaugural Innovations in Reading Prize by the National Book Foundation. 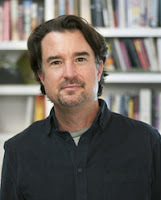 He has published essays in Newsweek, Details,Salon, Parenting, Creative Nonfiction, plus numerous anthologies and has been a commentator for NPR’s Morning Edition. Wilder lives in Santa Fe, New Mexico.